THE FRESH PRODUCE YOU NEED. FAST. LOCAL. AFFORDABLE. YOUR CUSTOMERS DESERVE FRESH PRODUCE. AND FRESH PRODUCE STARTS AT SUNRISE. Sunrise produce buyers are experts at finding fresh, high-quality produce. Fresh fruits and vegetables are imperative for chefs to create their signature dishes. Whether you need basic produce, or something more exotic, Sunrise can deliver the fresh, high-quality produce your customers deserve. Sunrise is Global Food Safety Initiative (GFSI) certified, and our warehouses consistently achieve the highest inspection ratings. 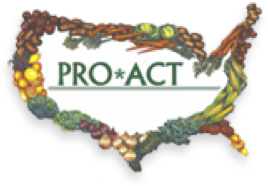 Maintaining clean facilities and training our staff to follow the strictest food handling requirements are just a few of the steps we take to ensure you receive the safest produce possible. Being a good steward of resources with in the communities we serve is very important. Whether it’s actively seeking local farmers and growers, or implementing produce recycling initiatives, Sunrise Fresh Produce understands the importance of promoting farm-to-fork sourcing and sustainability initiatives. We work closely with farms and restaurants who are committed to local sustainability. 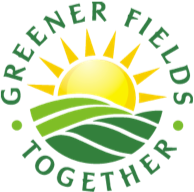 Partnering with Greener Fields Together creates a unique and delicious farm-to-fork experience. Exceptional produce, excellent service, and an unwavering commitment to food safety are what set us apart from the competition. Our service area and news tells more of our story. © 2019 Sunrise Fresh Produce. All Rights Reserved.